*Authorized Dealer of Shaw Floors* We are your shop at home resource for carpets and flooring. We also have an in-house Master Carpenter and Builder, and can build and sell materials for your remodel and other interior projects. We specialize in kitchens, baths and basements. We want to understand what you are looking for and what is going to last in your home. We take into consideration what the room is used for, and for whom the room is being designed for. 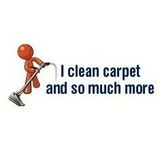 We understand the relationship between you, your children, pets and carpets. We want to understand how your lifestyle fits your home so that you don't have to worry about choosing the right material to fit your lifestyle. We want to know how much your carpet and flooring will be interacting with your life, and what would be most convenient and budget friendly for you. We want to find the right look to your home from Neutral Beiges to Peacock Blues. We can have your perfect flooring installed within a week to 10 working days. For more reviews, select the social media links to the left. Oxigreen is a professional carpet and tile cleaning company. 100% Green with nothing but pet and baby safe cleaning services. It's one of the most successful franchises in the industry. We offer the best , proven pet and odor removing services you can buy at a great value. We are prompt and reliable carpet cleaners serving Ocean county NJ and surrounding areas. All techs are IICRC sertified and completely trained prfessionals. Our trucks are first rate and each being fully equipt to provide carpet, tile and upholstery cleaning to you complete satisfaction or money back guarrentee. 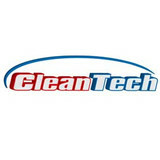 Cleantech cleaning professionals located in Conshohocken, PA. Since 1971, has provided cleaning to businesses of all kinds in the Philadelphia region including the surrounding area including Bucks County, Montgomery County, Chester County and Delaware County. We deliver professionalism and quality business owners and management appreciate and expect. We’re working behind the scenes making your workplace more efficient and a better all around environment for you, your employees and your customers. Flooring is an often overlooked and underappreciated enabler of happy homes and productive businesses. Our promise is based on the idea that a freshly cleaned carpet by the Magic Wand will give your family, friends or customers the warm and inviting feeling that we all strive to create at home or at work. We enjoy delivering that for our customers and take pride in hearing that we've reclaimed a carpet from the costly expense of replacement. Top notch carpet cleaning services in Elizabeth, NJ and surrounding areas. Our technicians are ready for your call! We also provide upholstery cleaning, rug cleaning and more. Call us today to check our offers. FDP Mold Remediation is a professional certified, licensed and insured mold remediation/inspection services provider in Elizabeth, NJ and area nearby. We`ll solve all the mold issues in your home/office quickly and at a reasonable price. Give us a call right now for more info or schedule an appointment. 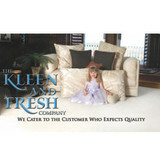 Steam and clean Carpet Cleaning is a highly skilled and superior carpet cleaning company in Mendham NJ. We also specialize in the Area rug, wood floor, dryer vent and upholstery cleaning in the New Jersey areas such as Newton NJ, Sussex NJ, Morris County NJ, Sparta NJ and more. Loving Care Carpet Cleaning Services is a carpet cleaner / carpet cleaning service serving the Swatara, PA area. Services include Carpet Cleaning, Hot Water Extraction, Commercial Carpet Cleaning, Steam Cleaning, Floor Cleaning, Oriental Rug Cleaning, Area Rug Cleaning, Carpet Stain Removal, Odor Removal and Upholstery Cleaning. About Our Dumpster Rental Company Services Eagle Dumpster Rental is dedicated to getting the leading Philadelphia dumpster local rental, junk removal, and trash hauling services in the certain area. We have extended our deliveries to consist of all of these areas in Pennsylvania: Philadelphia State, Delaware County, Dollars Region, Chester State, Lancaster County, Berks Region, Montgomery State, Northampton County, Lehigh Region, In addition our Delaware places: Kent State, New Castle County, We satisfaction ourselves on our dependability, affordability, versatility, and professionalism and reliability for all of our home, industrial, and service provider clients. Your satisfaction is usually our quantity one concern. Waste materials REMOVAL SOLUTIONS Eagle Dumpster Local rental is a regional firm, employing a dedicated group of experts with a lengthy background of going above client anticipations. We will function with you to provide waste materials removal solutions particular to the needs of your particular task and make sure the process is usually as easy as feasible. We’re a Ze Eastern PA and North Delaware company looking for to provide our neighbours with the excellent assistance they possess arrive to expect. At Eagle Dumpster Rental, we need to make sure that your project is usually carried out on period, as possible safely, and that all waste is removed and lawfully disposed of safely and. We provide a variety of junk trash and removal hauling services. We can perform the weighty raising for you, or just offer you with the gear your team requirements to ensure all debris is usually included and disposed of correctly. Whether you’re in want of small-scale rubbish removal solutions or you’re searching for a full-service garbage carrying group, we’re the ongoing organization you’re also searching for. From all of us right here at Eagle Dumpster Local rental, we appearance ahead to operating with you! What should I look for in a local Doylestown carpet cleaner? Not all Doylestown carpet cleaning companies use the same methods, but there are a few common things that they should do to for a quality job. Make sure they do an analysis on the area you need cleaned and recommend the best course of action — are there large stains or high-traffic areas that need extra treatment or attention? Also, make sure they provide quick drying times so that you can be back in your home faster; that means hours, not days! A good carpet cleaning service in Doylestown, PA should move furniture (within reason) and put it back in place when they are all done; don't let them charge extra to do this. Another important factor to look out for is whether or not the carpet cleaners use chemicals, and if so, they should be asthma- and allergy-friendly. This is especially important for households that have children or pets. Lots of Doylestown carpet cleaning services also clean rugs. Rug cleaning can involve anything from a simple wash to complete re-weaving or foundation work. Make sure the local rug cleaner you choose has experience with the types of rugs you need serviced, especially if they are hand-woven or Oriental rugs. What should I look for in a local Doylestown upholstery cleaner? Upholstery comes in many more varieties than carpet and rugs, thus needs cleaning tailored to each specific blend. Even if you don’t know what material your sofa or chair is made with, a good upholstery cleaning service in Doylestown, PA will be able to identify it and treat it appropriately. Some textiles require dry cleaning and that can’t be done in home, so if that’s the case, check with the upholstery cleaner and see if they offer pickup and drop off services. Leather cleaning is a bit different and often involves more restoration and conditioning than actual cleaning. Make sure the Doylestown furniture cleaning service specializes in leather if you are considering them for the job. Find Doylestown upholstery and carpet cleaning services on Houzz. Narrow your search in the Professionals section of the website to local carpet cleaners in Doylestown, PA and read reviews and ratings to find one that fits your needs.